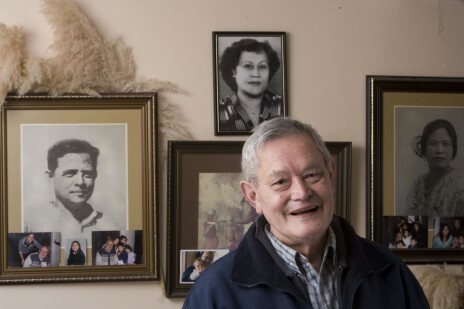 Joseph Churchward standing before portraits of his family, 2008 (photo: Norman Heke). We would like to pay a special tribute to Samoan artist Joseph Churchward who sadly passed away last weekend. We were privileged to have worked with Joseph in 2008, when my colleague Sean Mallon (Senior Curator Pacific Cultures) and I curated the exhibition Letter Man: Joseph Churchward’s world of type (2008). I recall well Joseph’s sense of humour and his love of family history. Joseph’s work in print and digital media is a lasting legacy. Our sincere condolences to the Churchward family at this time. Ia manuia lau malaga Joseph. May you rest in peace.